(Phoenix, AZ – April 4-6, 2014). 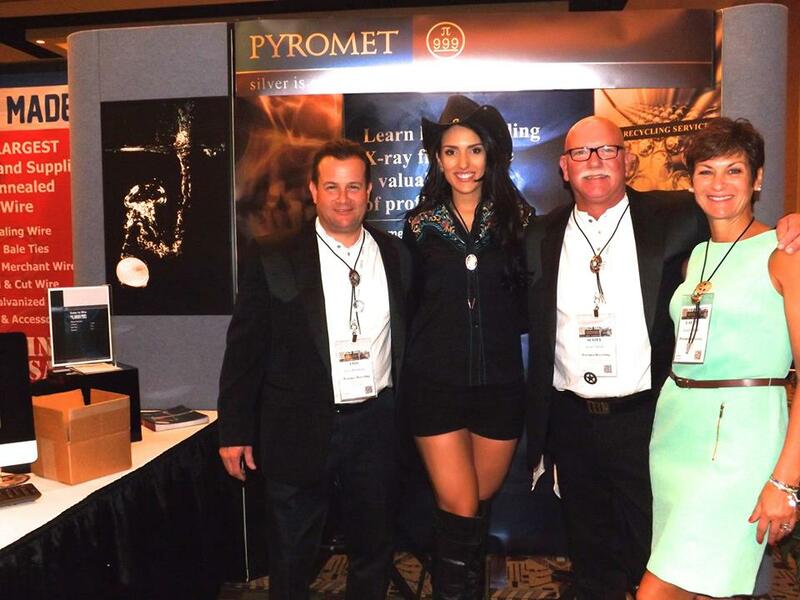 Pyromet exhibited a Lone Ranger theme at this year’s NAID 2014 Conference. Scott Smith, CEO of Pyromet, Laurie Smith, Smith’s wife, Lon Rudnitsky, Pyromet’s sales representative and film wash partner, and Pyromet’s newest member, Kylie Smith, enjoyed exhibiting at this years NAID conference. Pyromet believes that this year’s NAID conference was an enormous success. One of the Pyromet existing customers, John Cody of Planet Shred, was happy to have Pyromet at NAID. “I wouldn’t think of using anybody else for x-ray film recycling, from the pickup, to the processing and payment, I was extremely pleased,” said Cody. Working hard for Pyromet’s customers is the highest priority, and having fun is a part of that. At this year’s booth Pyromet had two different contests. If an attendee was wearing their Pyromet Ranger badge, given out by Pyromet’s Cowgirl, they would randomly select to win a silver bullet. This weekend, there were about fourteen silver bullet winners. The other contest was a drawing where participants could win one of the three prizes. Attendees would drop their business card in a box, and were entered to win the grand prize. The grand prize winner, Don Adriaansen with Titan Mobile Shredding, won a $1,000 worth of silver. Brian Day from Keystone Mobile Shredding was second place, winning $300 in silver. Third place, given to Bob Davidson from Johnson Waste Management, won $150 of silver.